State Department spokeswoman Jen Psaki seeks to calm the storm caused by Kerry's comments on Syrian president. United States officials Monday denied there were any plans to meet Syrian President Bashar Al-Assad, saying he would "never" be part of any peace negotiations to end the brutal civil war. The clarification came after Secretary of State John Kerry appeared to suggest in a weekend interview that Washington would have to talk with Assad eventually if peace was to be forged. "[I]f he's ready to have a serious negotiation about the implementation of Geneva I, of course, if people are prepared to do that. And what we're pushing for is to get him to come and do that," Kerry said in the interview. On Monday, however, State Department spokeswoman Jen Psaki moved to clarify that assertion. "As we have long said, there always has been a need for representatives of the Assad regime to be a part of that process," said Psaki, according to the AFP news agency. Kerry's comments had caused consternation abroad, with Britain saying Assad had no place in Syria’s future and Turkey expressing outrage as well, but Psaki said Kerry "was using Assad as a shorthand" to mean the whole Damascus regime. Psaki noted that the United States was guided by the wishes of the moderate Syrian opposition in its role as a facilitator of any peace talks and it had made clear it would not negotiate with Assad at the table. "Obviously, it would need to be representatives of both the opposition and the regime at the table, the discussions between them is the most important component," she said, according to AFP. But she stressed that there was "no process under way, and there's no process about to start, so it's purely hypothetical at this point." Meanwhile on Monday, French Foreign Minister Laurent Fabius also reacted to Kerry’s comments and rejected any role Assad in Syrian peace talks, saying it would be a "scandalous gift" to the Islamic State (ISIS) group. "The solution is a political transition which would preserve regime institutions, not Mr. Bashar Al-Assad. 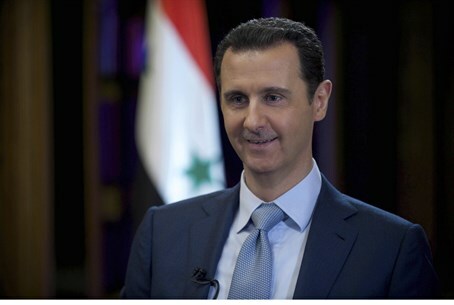 Any other solution which would keep Mr. Assad in the saddle would be an absolutely scandalous, gigantic gift to Daesh," Fabius was quoted by AFP as having said in Brussels, using another name for ISIS. "The millions of Syrians who have been persecuted by Assad would transfer their support to Daesh. Obviously that must be avoided," he added. The French minister said he had spoken to Kerry on Monday morning and that the top U.S. diplomat "assured me that there was absolutely nothing new in the American position on Syria." French Prime Minister Manuel Valls also criticized the comments, saying "there will be no solution as long as Bashar Al-Assad leads Syria."